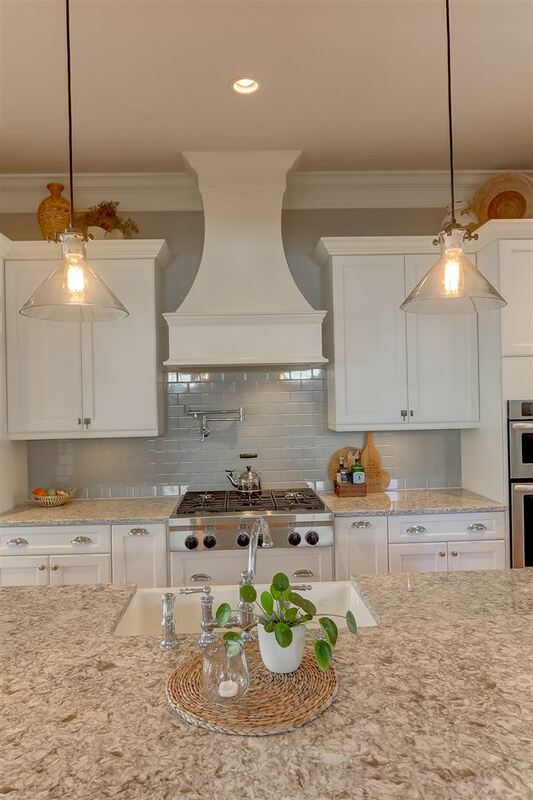 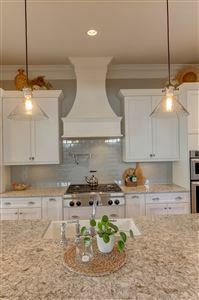 Exquisite custom Cline home nestled in the desirable Hibben subsection of Belle Hall Plantation located on .18 acre lot on private Gilberts Landing. 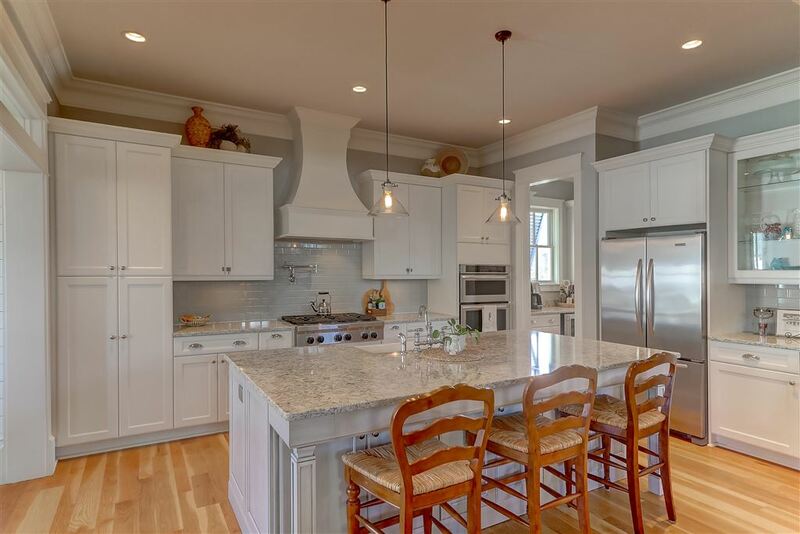 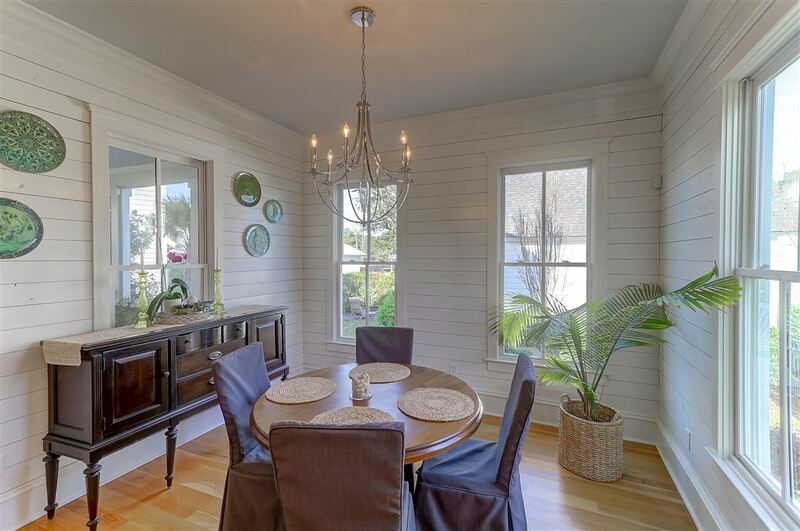 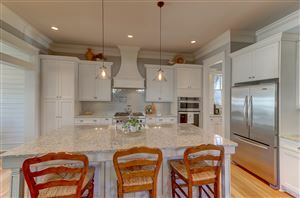 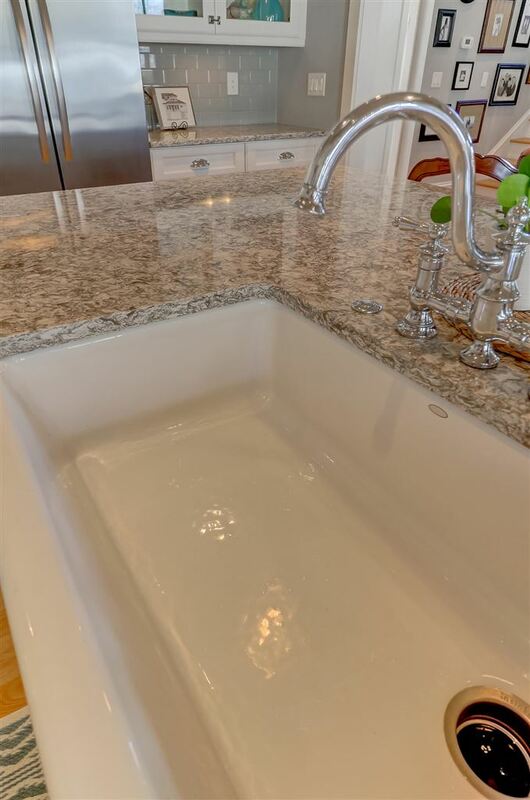 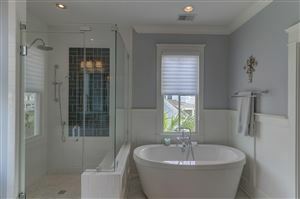 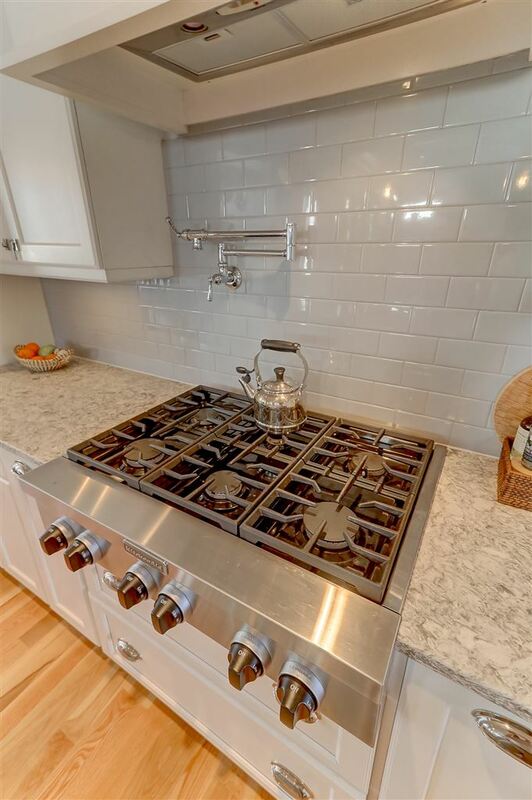 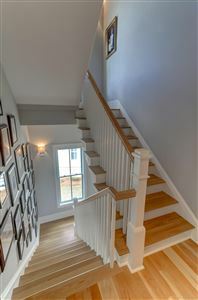 This pristine 4 bedroom, 3.5 bath, 3,133 s/f home with cement plank exterior was built in 2012. 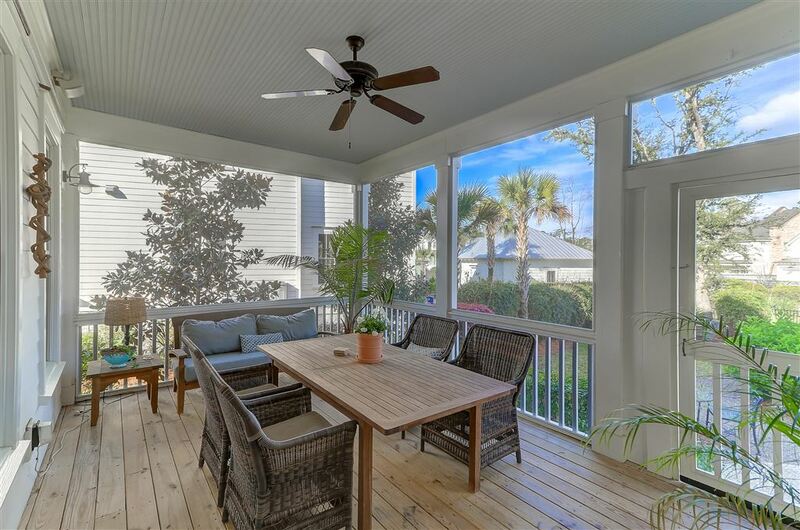 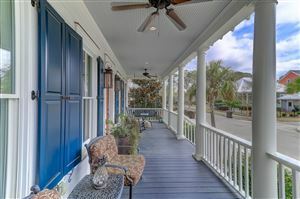 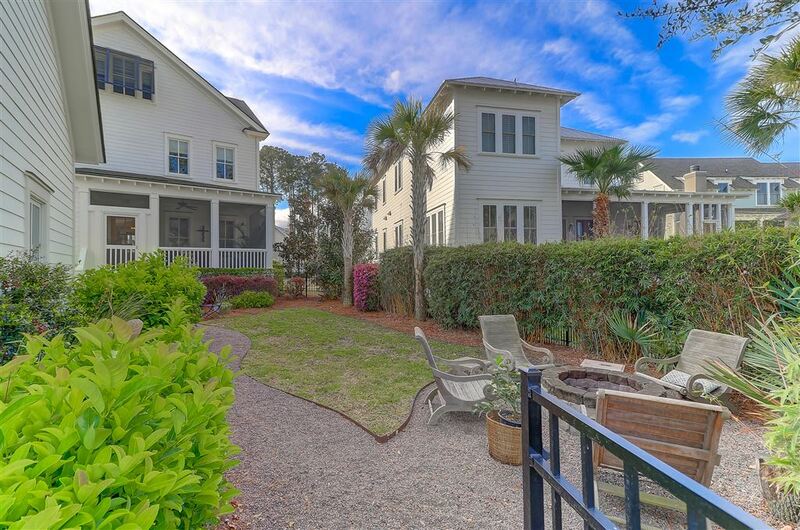 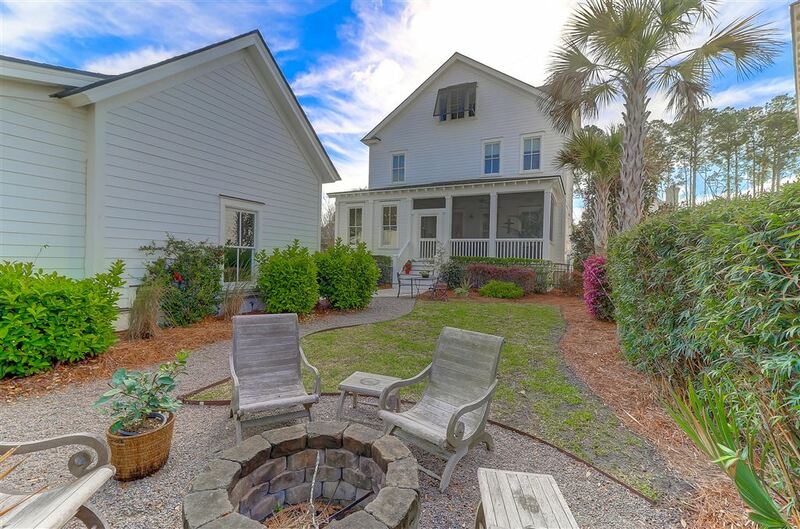 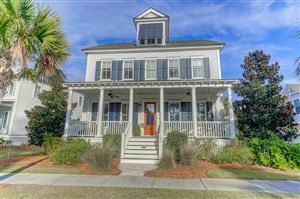 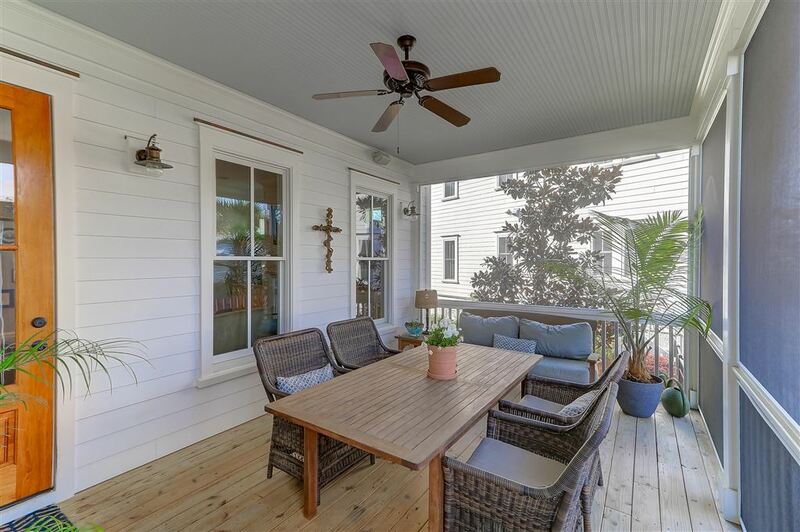 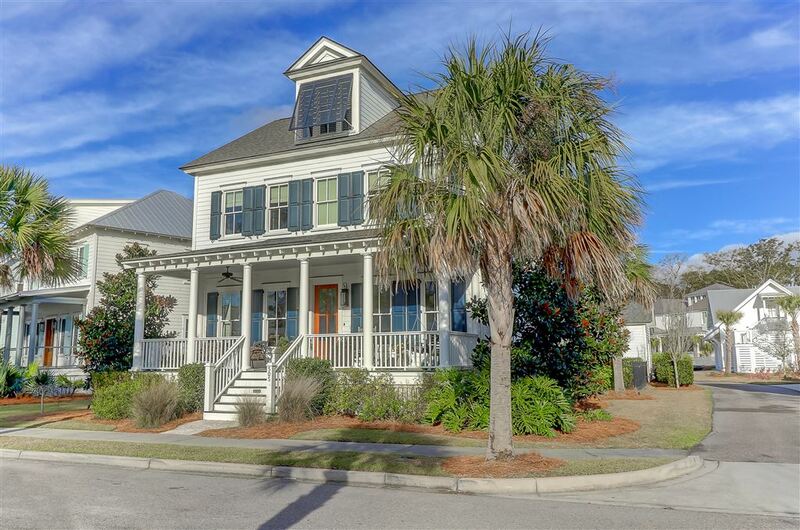 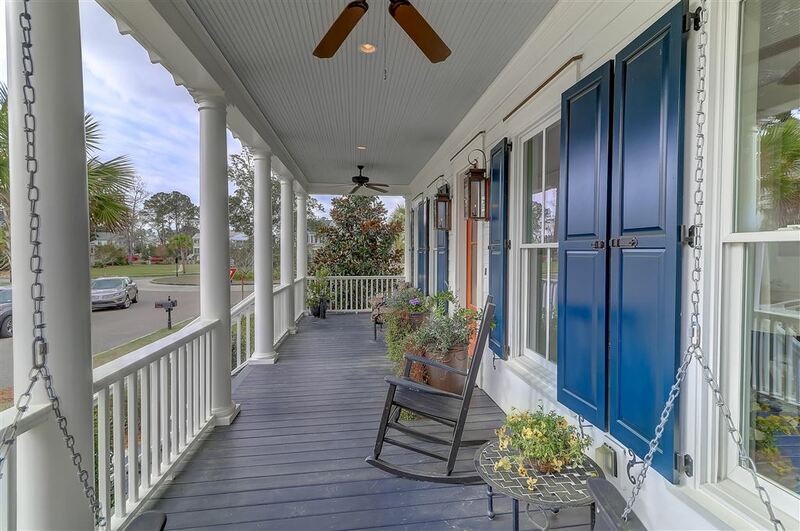 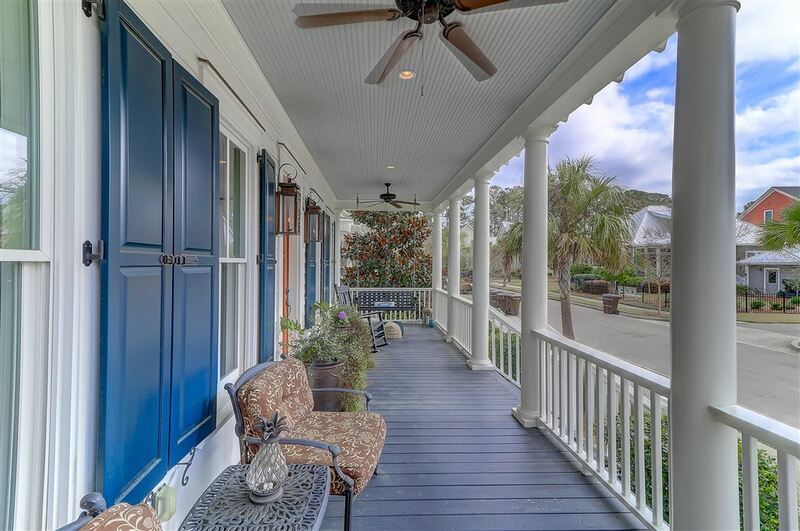 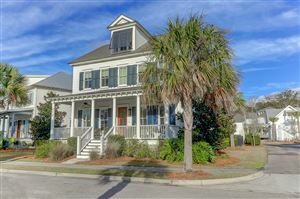 Upon arriving at this Lowcountry beauty, you are greeted by the meticulously maintained landscaping and full front porch loaded with Southern charm! 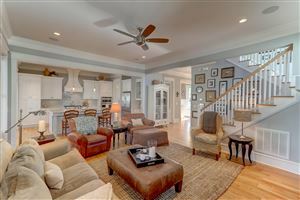 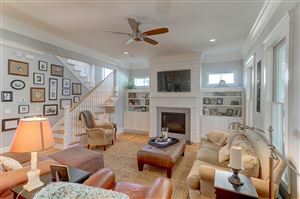 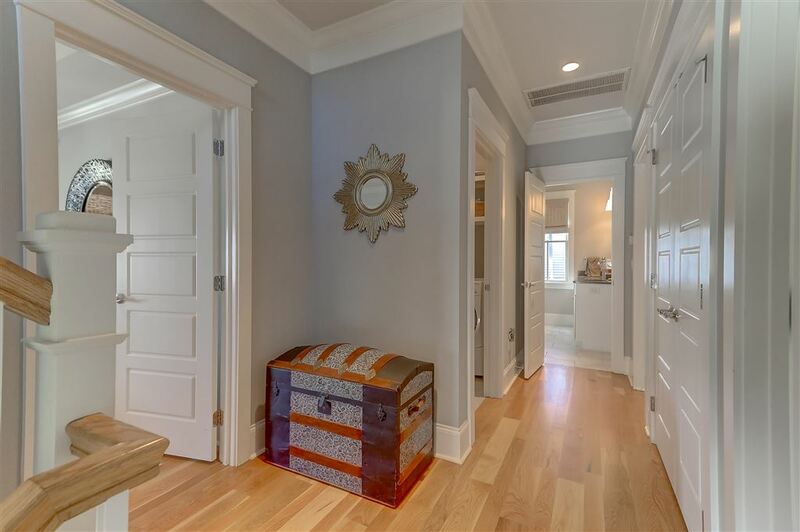 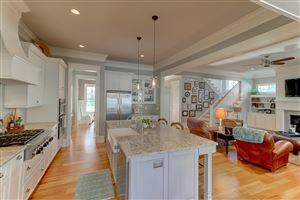 Once inside this stunning home, you are welcomed by the foyer and gracious center hallway. 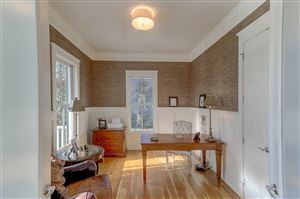 To the left you will find the study with closet; to the right is the elegant formal dining room with access to the Butler's pantry. 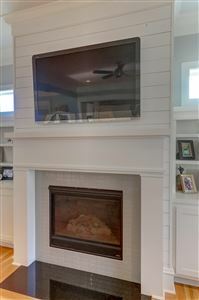 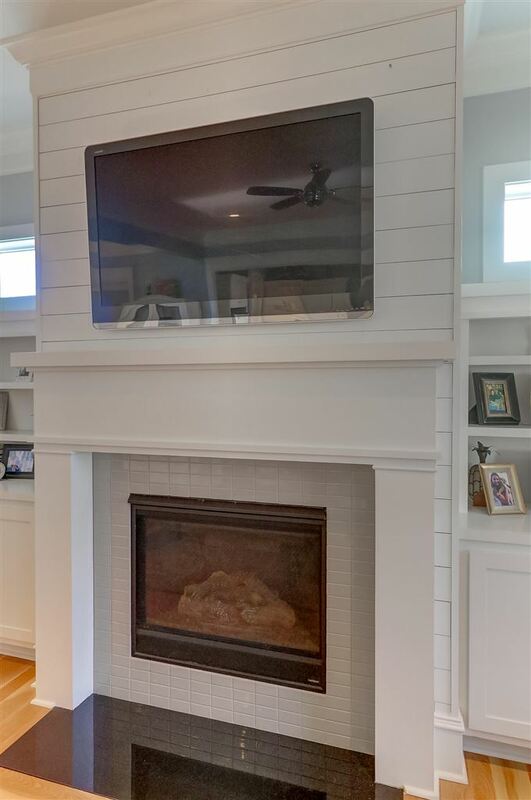 As you continue to the back of the home, you will find the spacious great room with gas log fireplace, tiled hearth, & built-ins, which is also open to the gourmet kitchen (MORE)... . . . & in-formal dining with attractive shiplap on the walls. 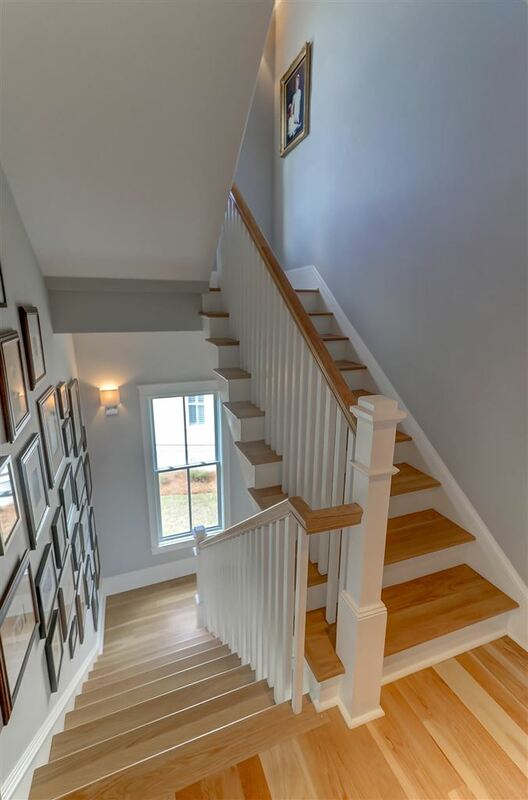 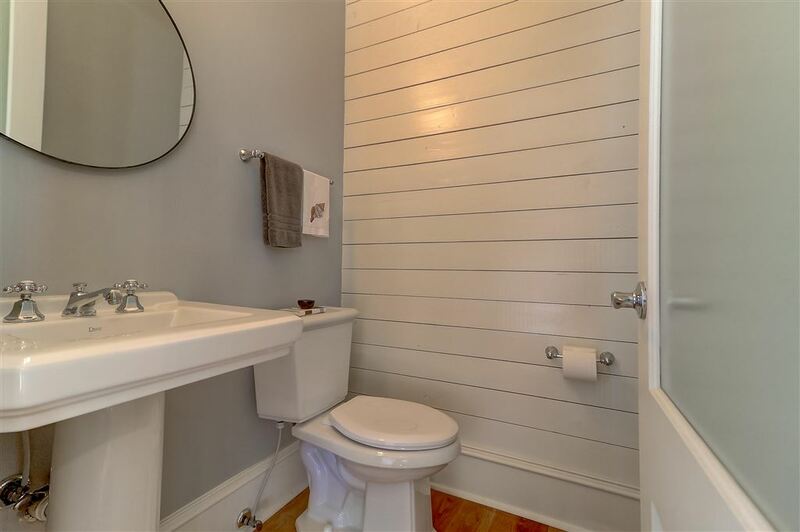 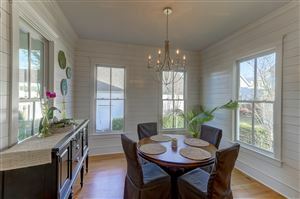 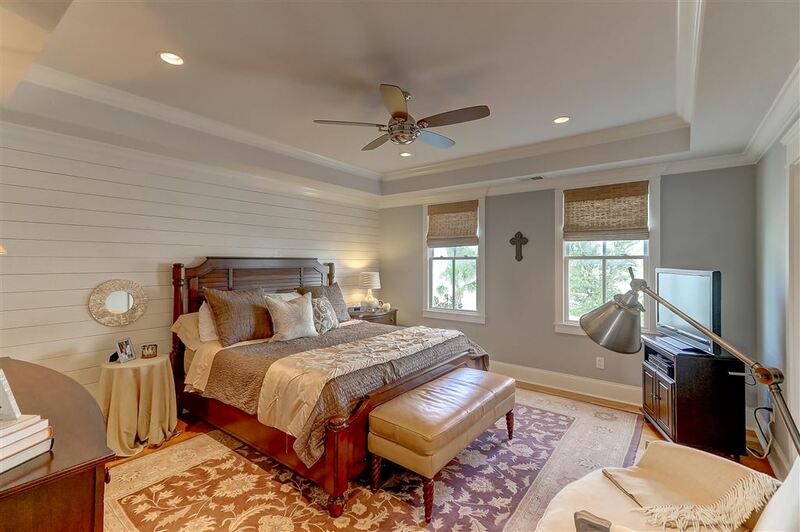 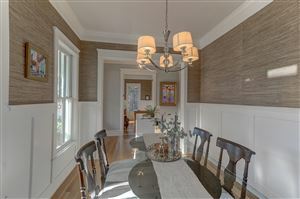 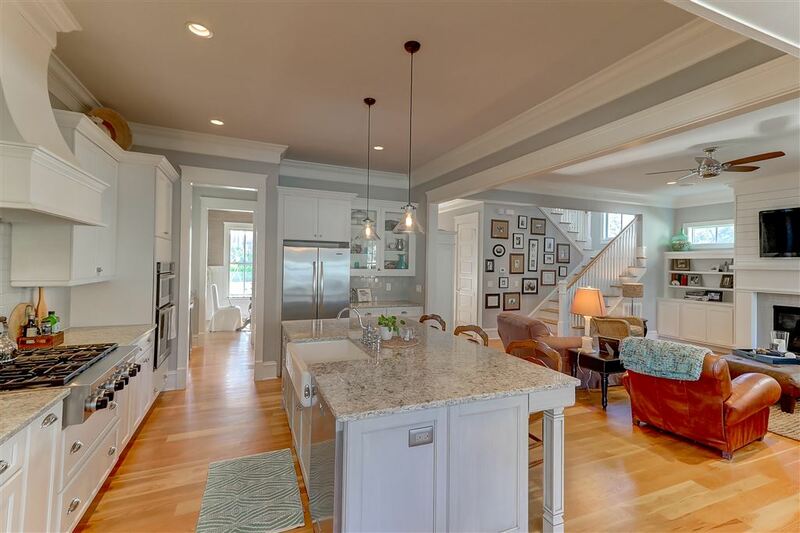 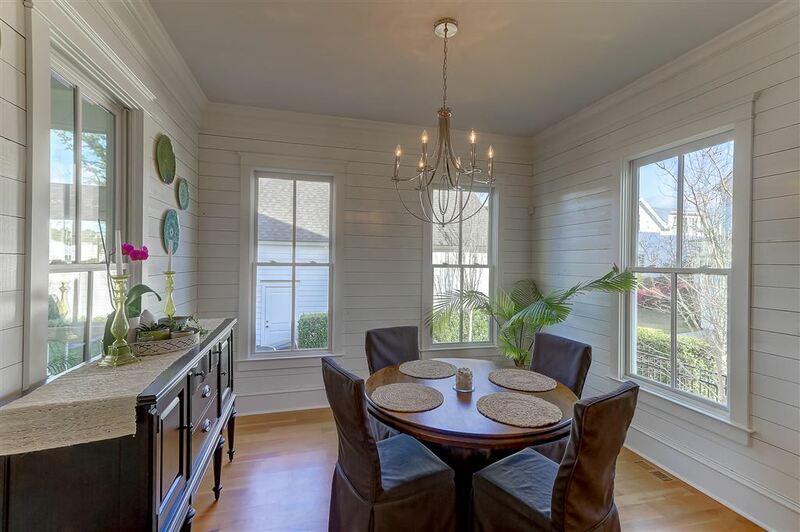 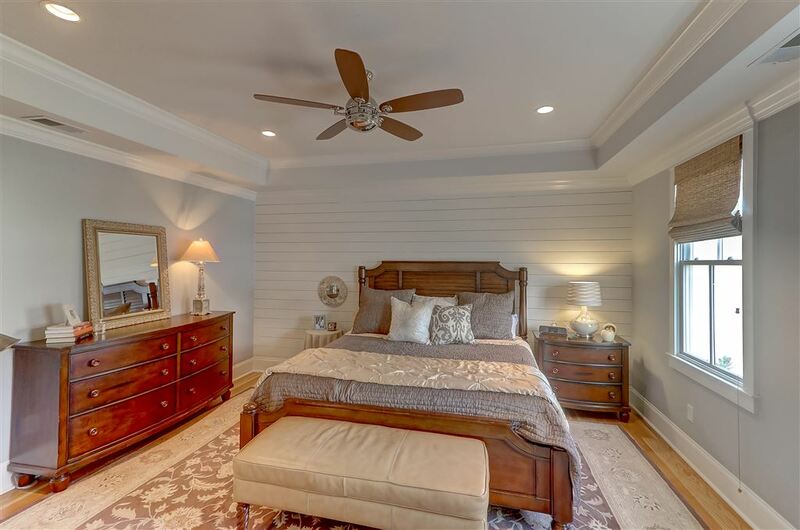 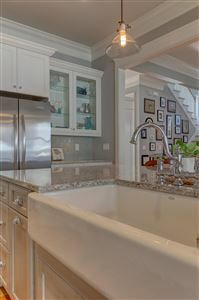 You will notice the white oak flooring, lavish woodworking & trim work, shiplap walls, and crown molding throughout the home...such attention to detail! The gourmet kitchen is complete w/spacious island with seating & loads of cabinets, all stainless appliances including a 6-burner 36" KitchenAid gas range, 36" chimney style cabinet hood, white Farmhouse sink, beautiful Cambria quartz counter tops, custom cabinetry, subway tile backsplash, hidden outlets (mounted under cabinets), Butler's pantry, & large pantry with custom shelving. 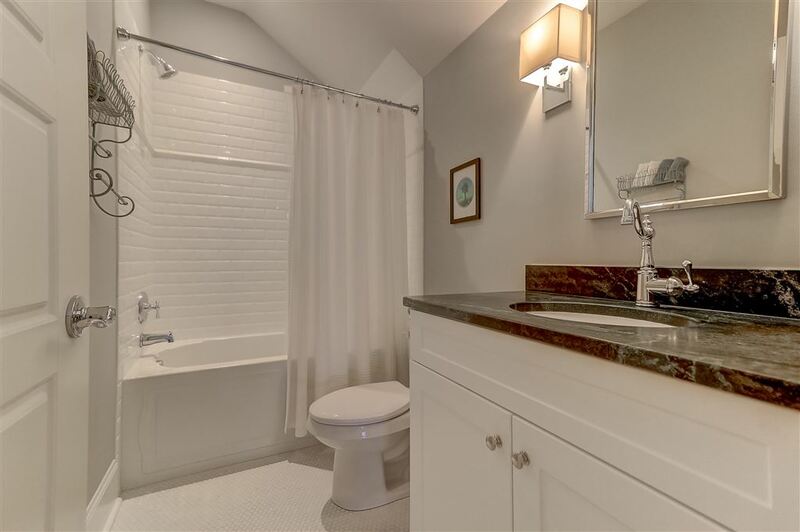 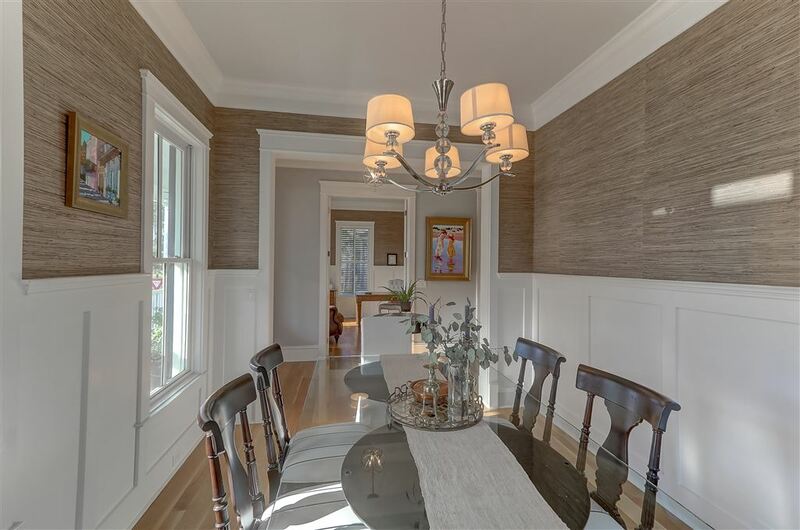 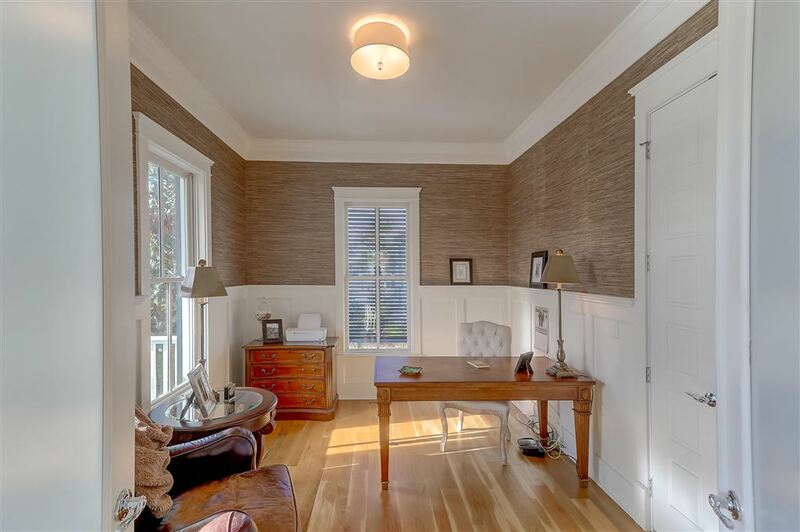 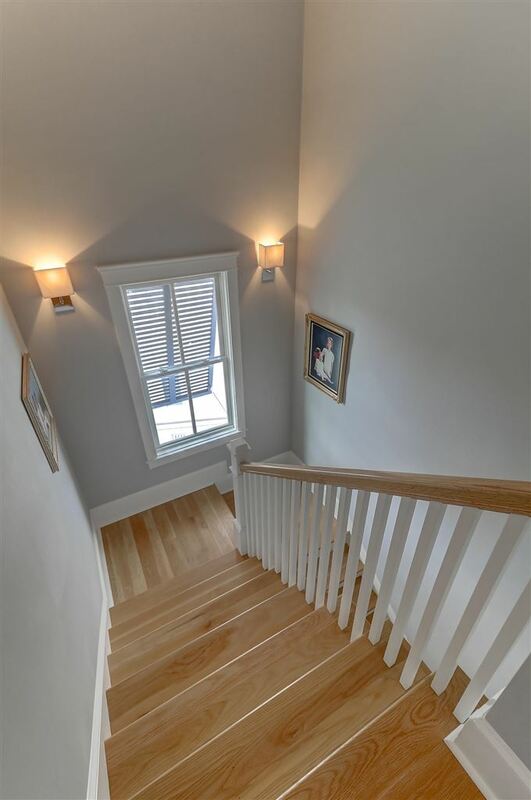 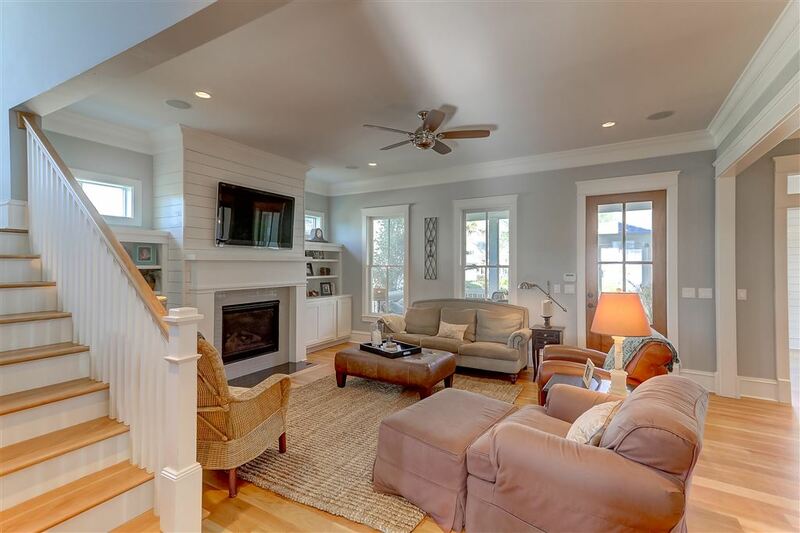 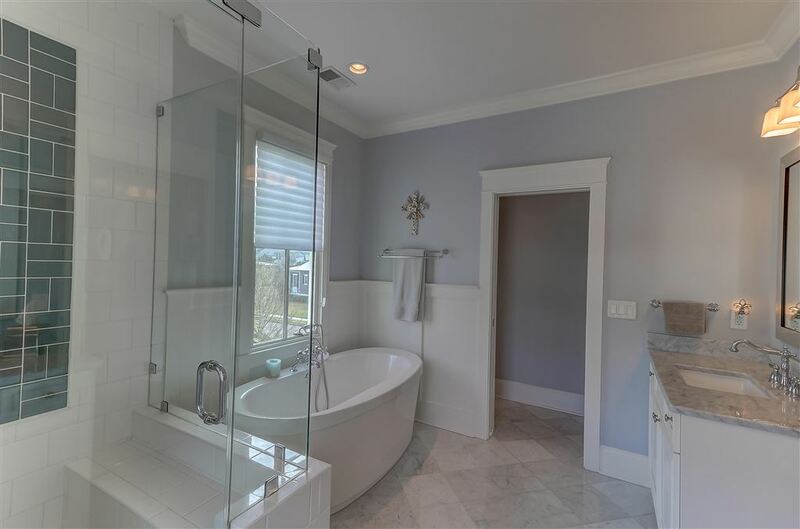 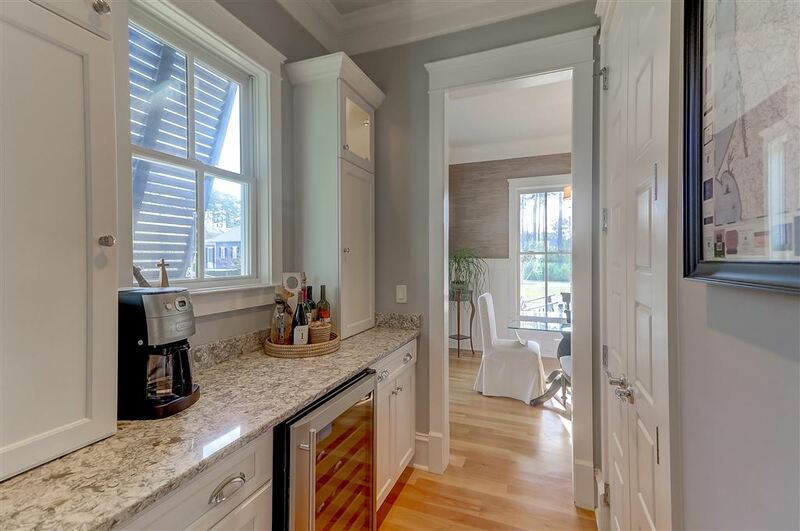 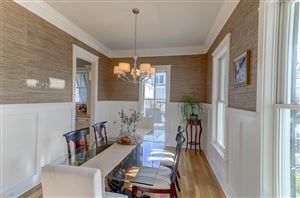 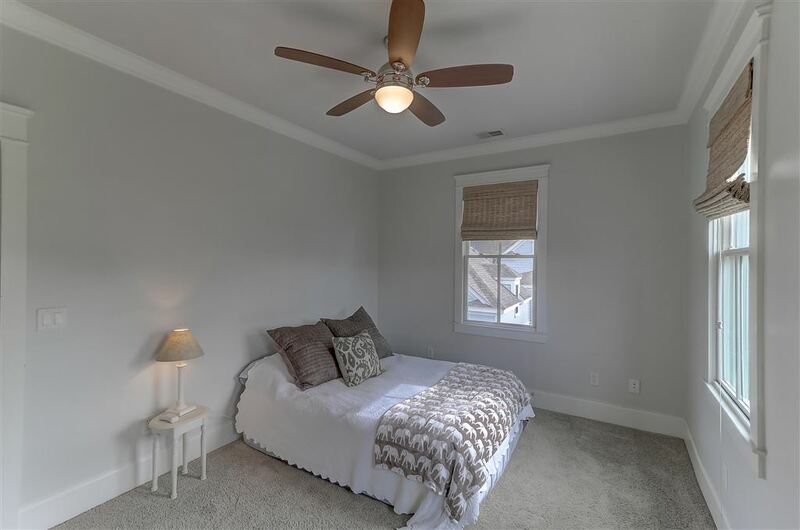 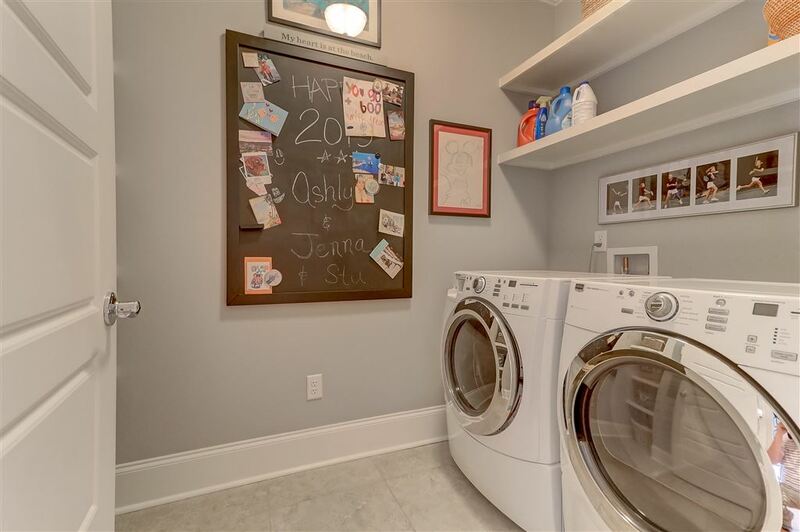 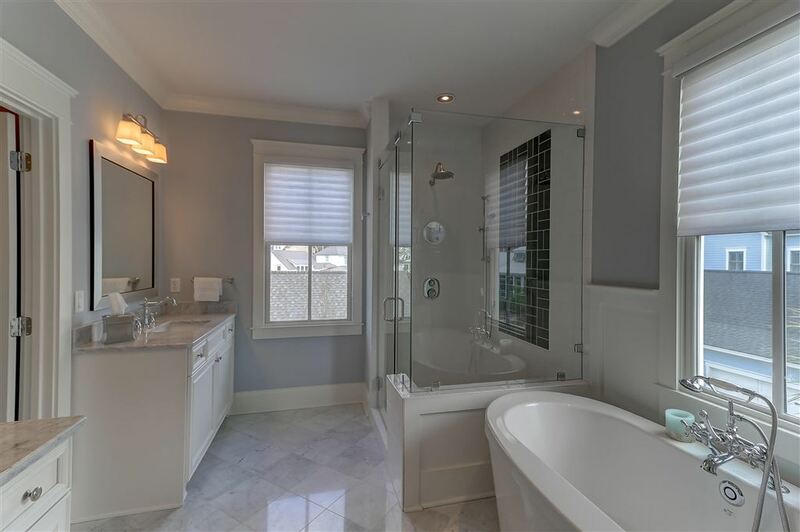 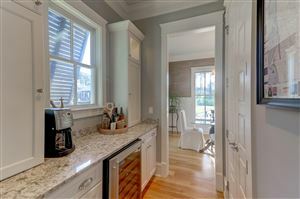 This home features 10 foot ceilings on the first floor and 9 foot ceilings on the second. 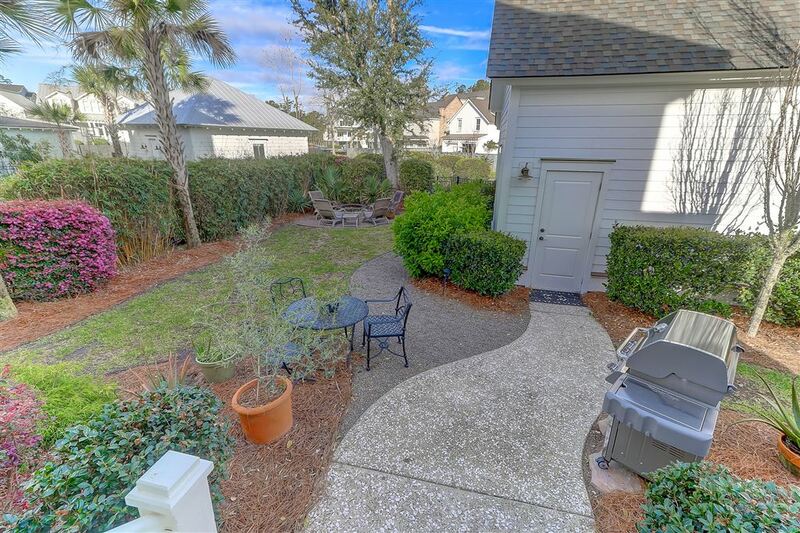 Do not miss the screened porch & luscious fenced backyard with firepit area. 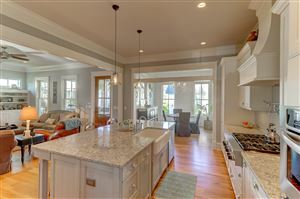 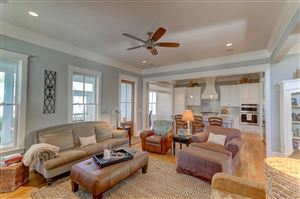 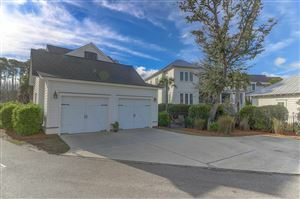 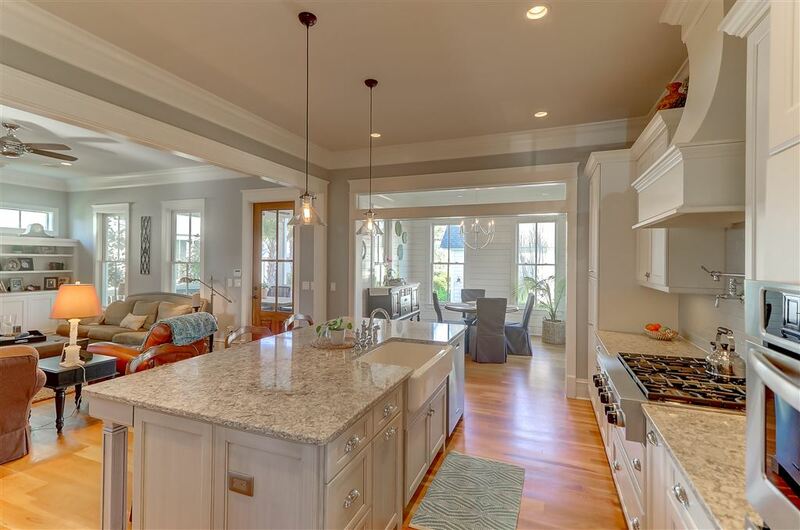 This home offers the perfect space on both the interior and exterior for entertaining in style and luxurious Lowcountry living! 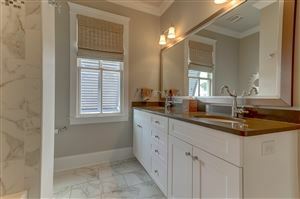 The powder room with shiplap & frosted glass door complete first level. 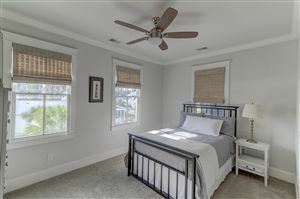 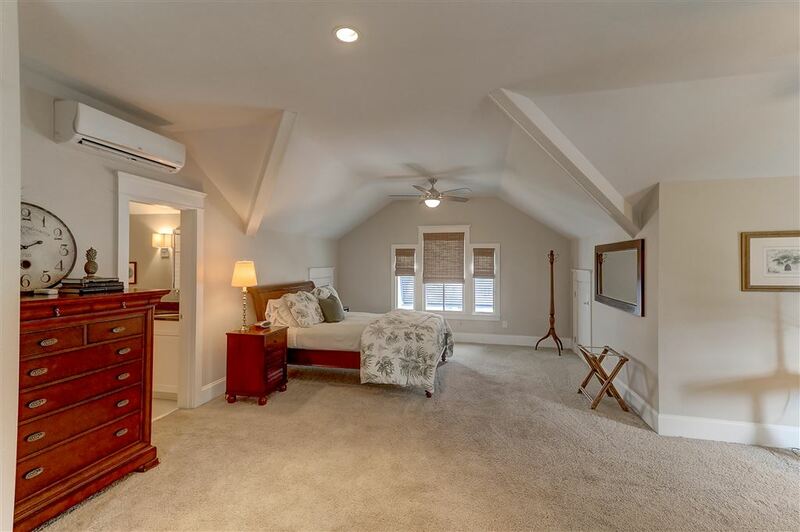 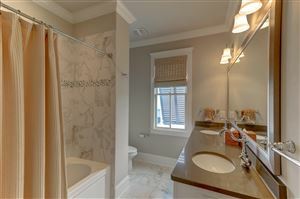 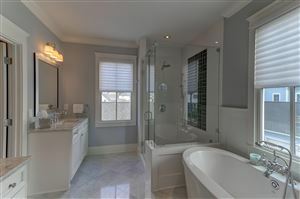 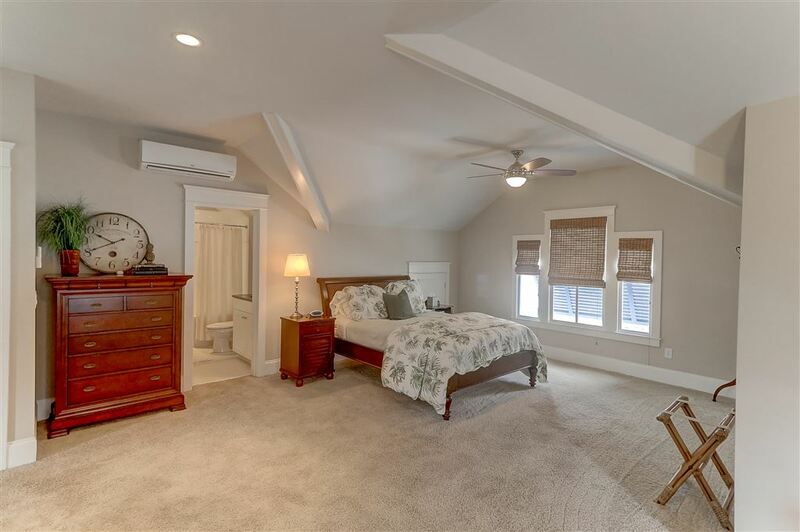 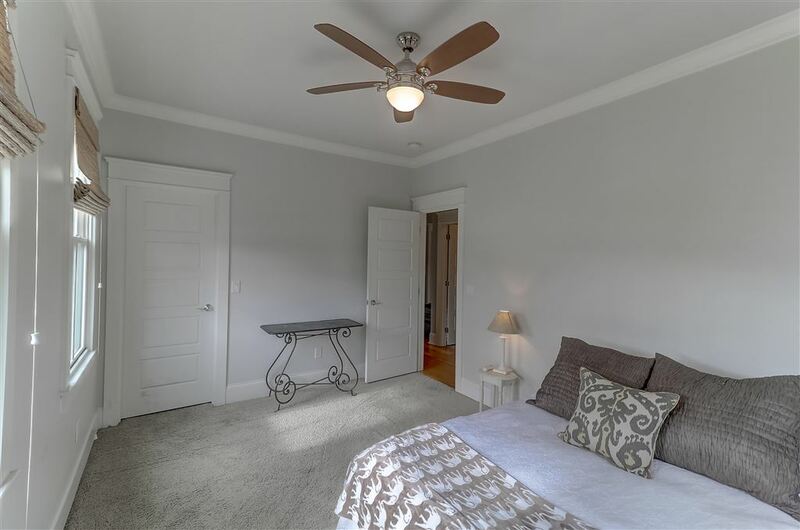 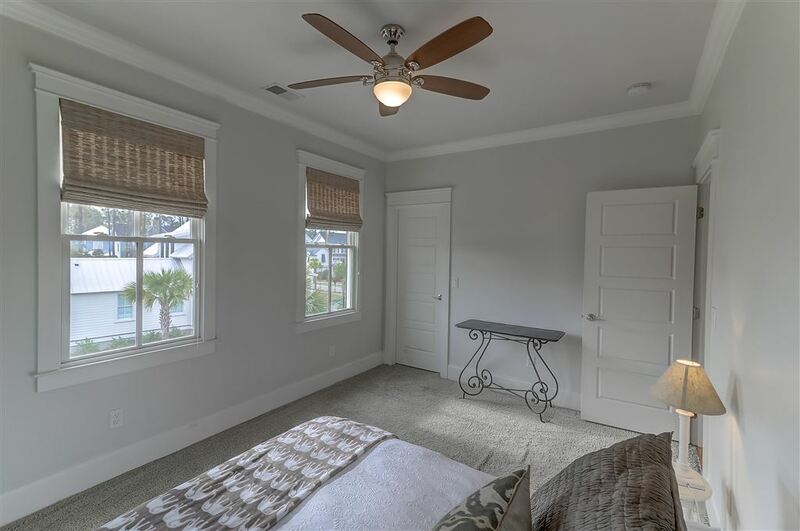 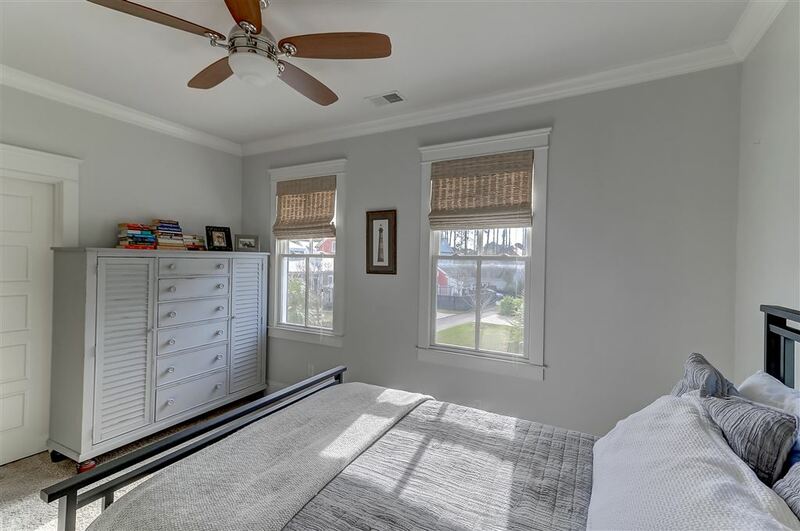 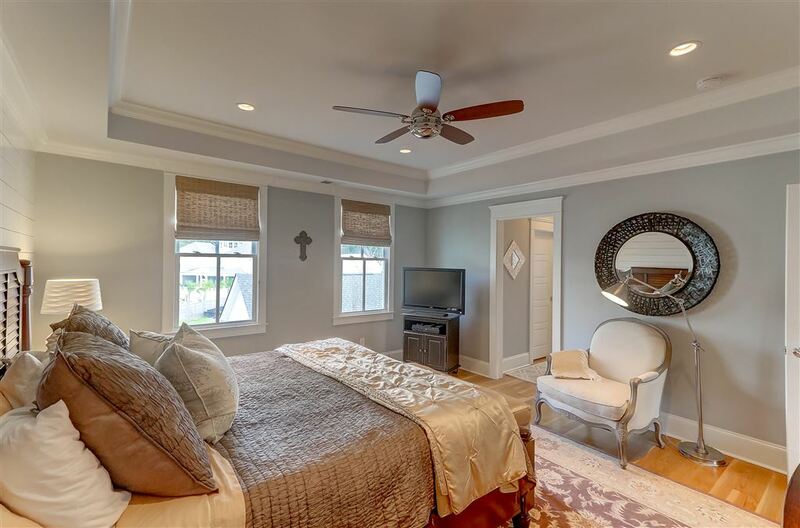 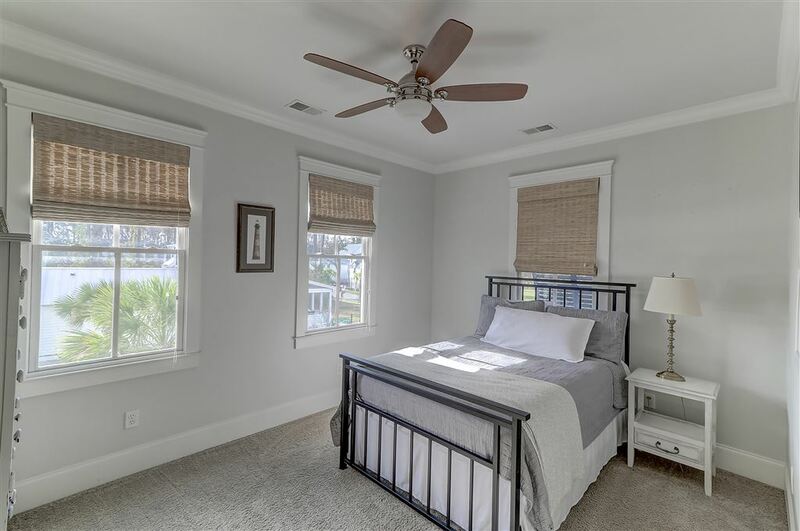 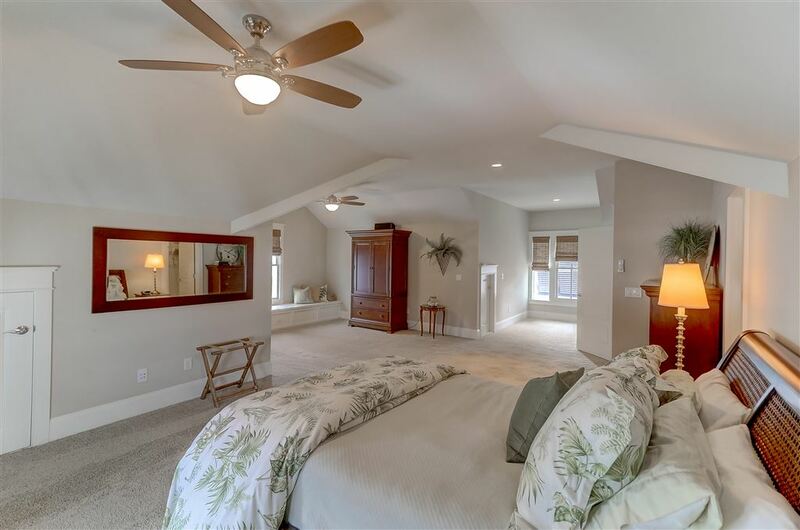 Upstairs you will find the expansive eye-catching master suite complete with trayed ceiling, his & hers walk-in closets, & deluxe master bathroom with quartz countertops & marble flooring, tiled shower w/rain shower head, & large soaking tub. 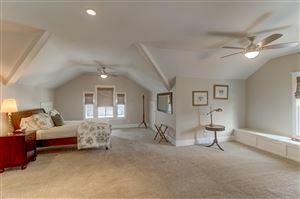 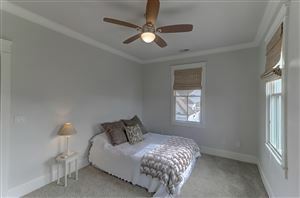 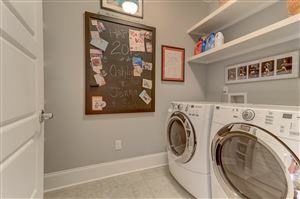 The 2nd floor in complete w/2 additional bedrooms, full hall bath, & laundry room with built-ins. 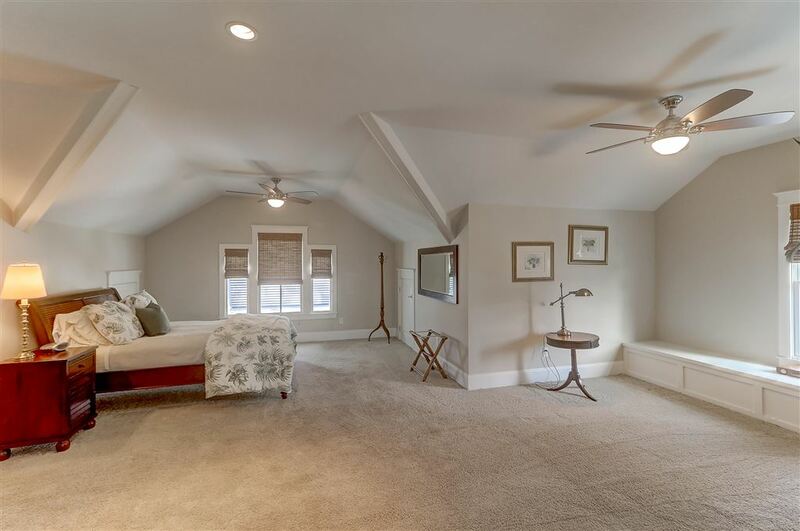 On the 3rd level of the home you will find the 4th bedroom with full bath & loads of storage (also could be used as a bonus room). 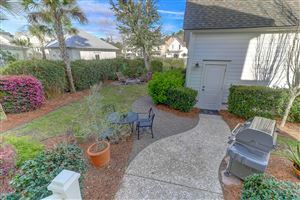 This pristine home is loaded with many extras, including: hardwood floors throughout, built-ins throughout main living areas, large detached 2-car garage with 3rd parking space, superb landscaping w/yard lighting, loads of storage throughout, Rinnai tankless water heater, gas lanterns, and so many deluxe features that we cannot begin to list them all! 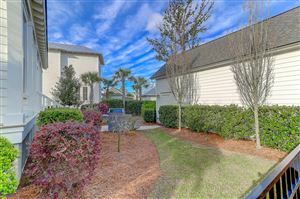 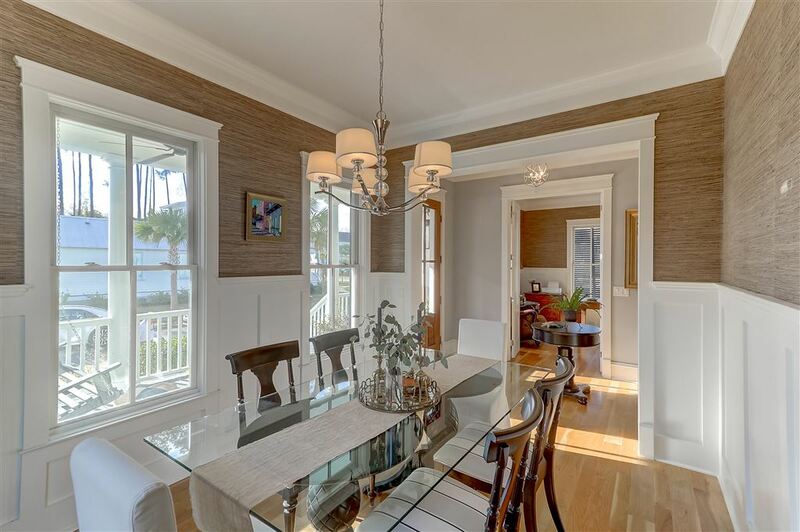 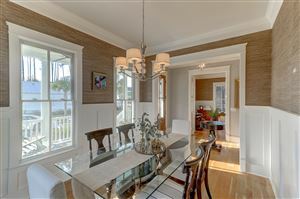 Great location and Belle Hall Plantation amenities including a community dock. 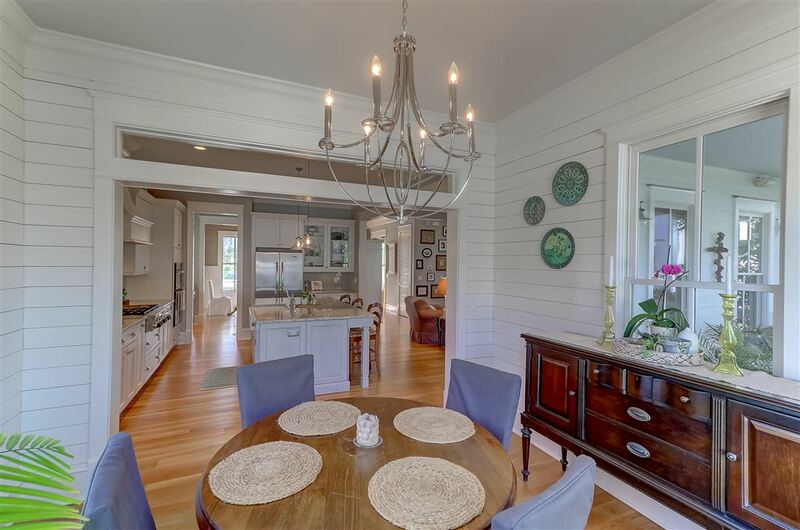 This striking home must be viewed to appreciate its uniqueness and the quality of construction.